Some players earn per day more than what ordinary citizens earn in a year. Where do those sponsors get the money from? Largely from selling products for which ordinary citizens have to pay too much. 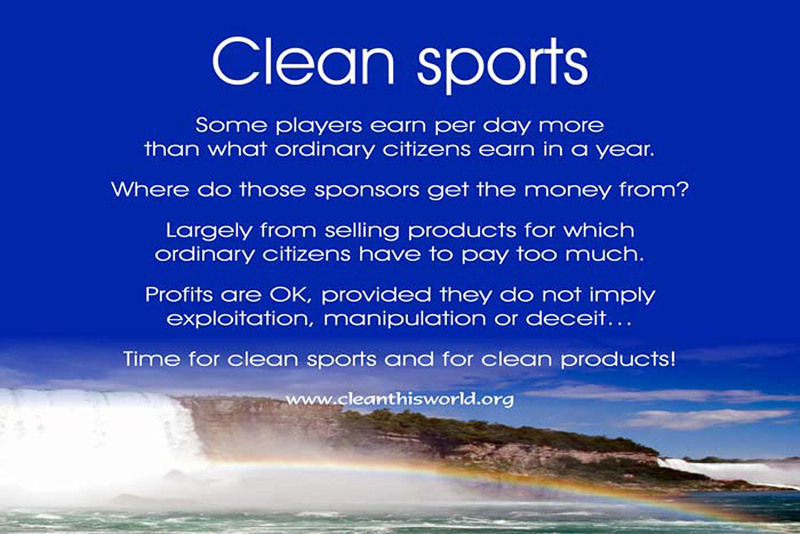 Profits are OK, provided they do not imply exploitation, manipulation or deceit... Time for clean sports and for clean products! Rotten apples make rotten football. 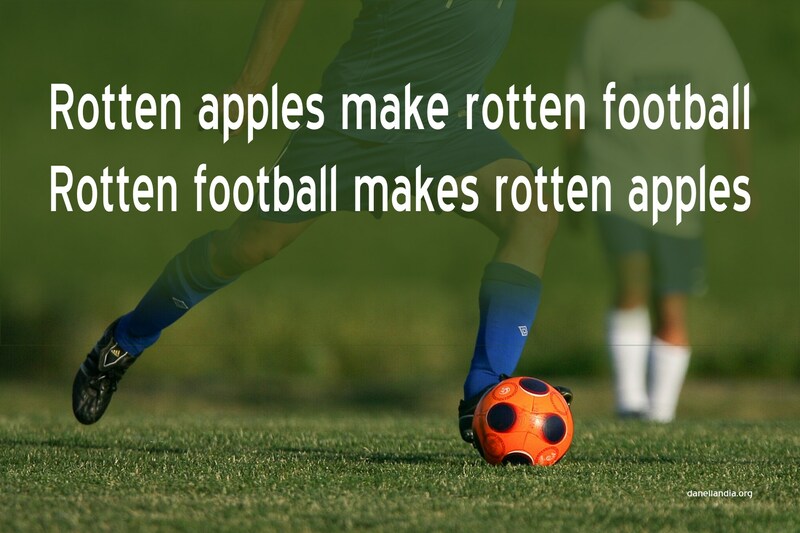 Rotten football makes rotten apples. 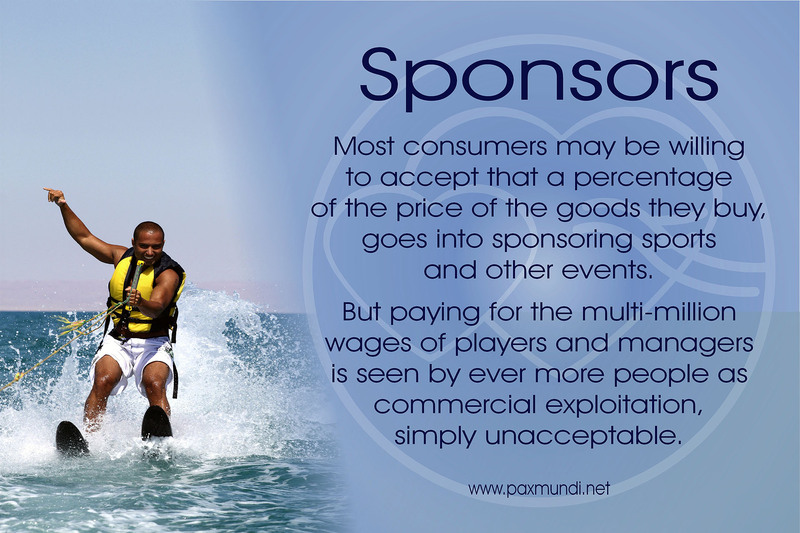 Most consumers may be willing to accept that a percentage of the price of the goods they buy, goes into sponsoring sports or other events. But paying for the multi-million wages of players and managers is seen by ever more people as commercial exploitation, simply unacceptable.